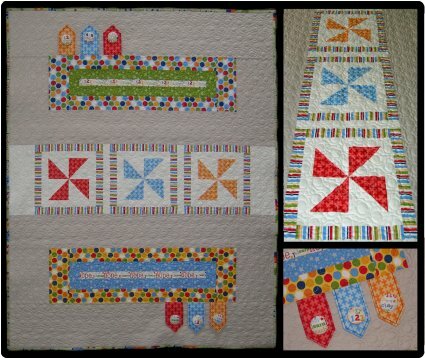 Let your little one explore and enjoy this fantastic cot quilt, featuring tabs that can be fastened with 1 ½” buttons, Velcro or left plain. 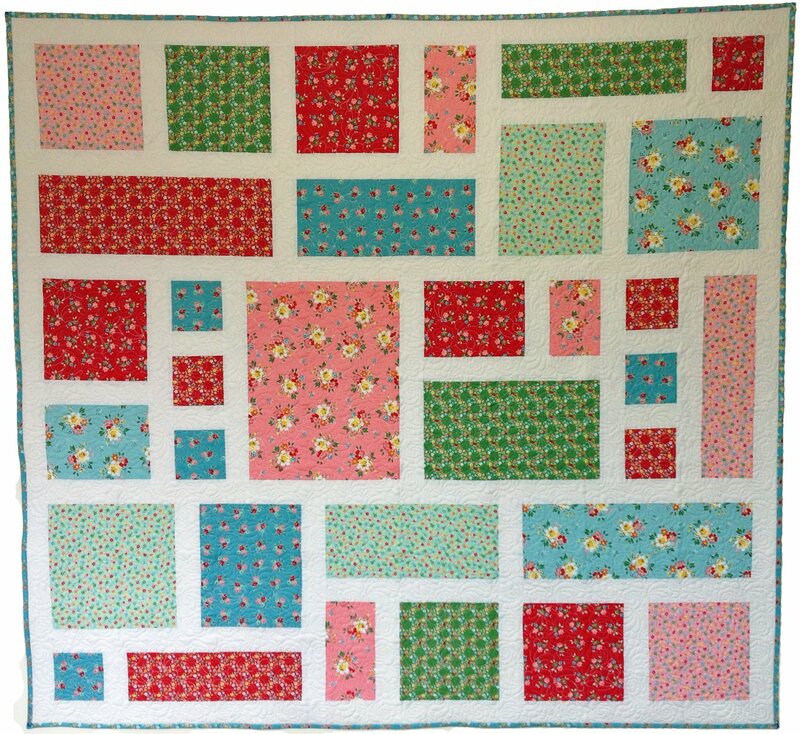 This feature is sure to keep little fingers busy and become a favourite to boot! 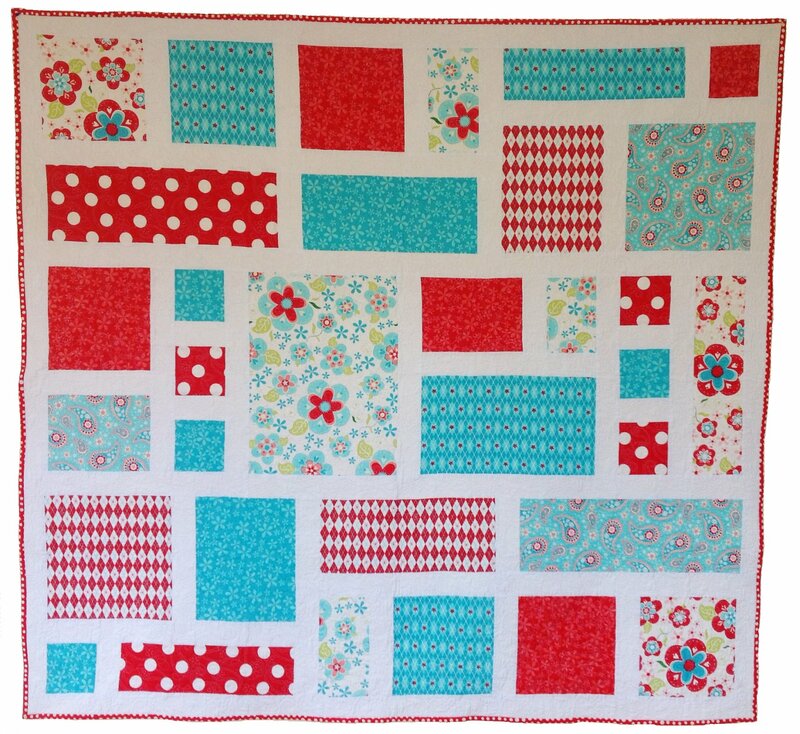 If using fabric covered buttons you can further transform this quilt by fussy cutting your chosen fabric! 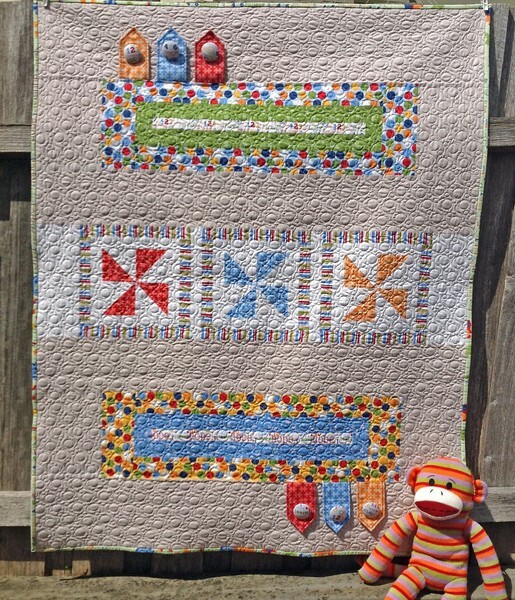 The fun pinwheels and easy piecing makes this quilt a pleasure to sew and the sensory elements are sure to make it a hit with the little ones in your life! 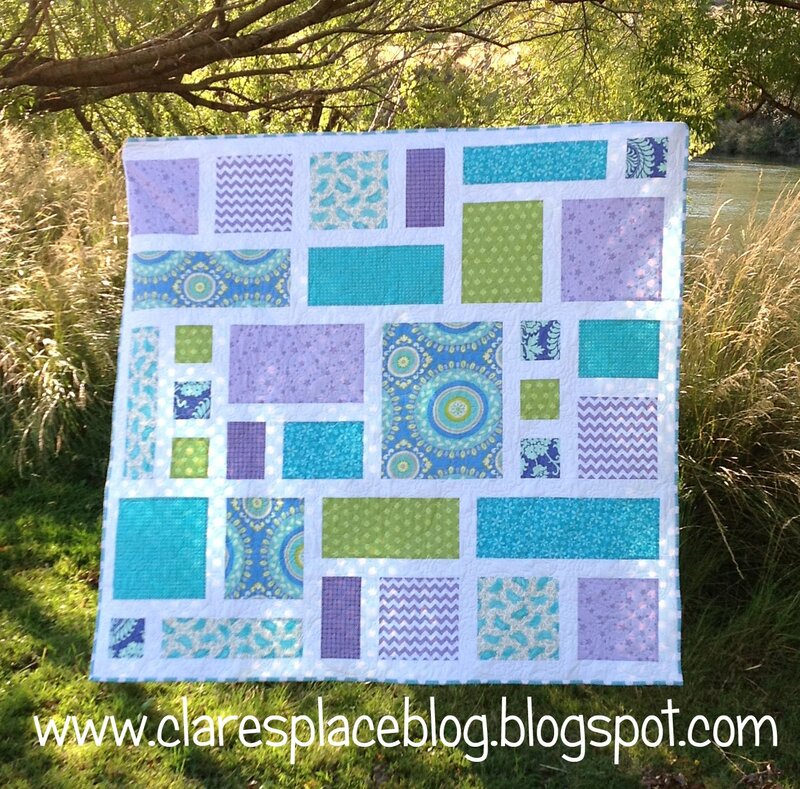 Fabrics: Pieces of Hope by the Riley Blake Designers for Riley Blake Designs(2012 collection). 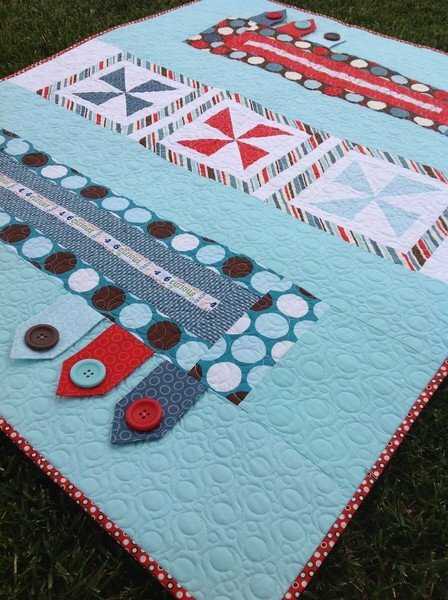 Blue version: All Star and All Star 2 fabrics from Riley Blake Designs. 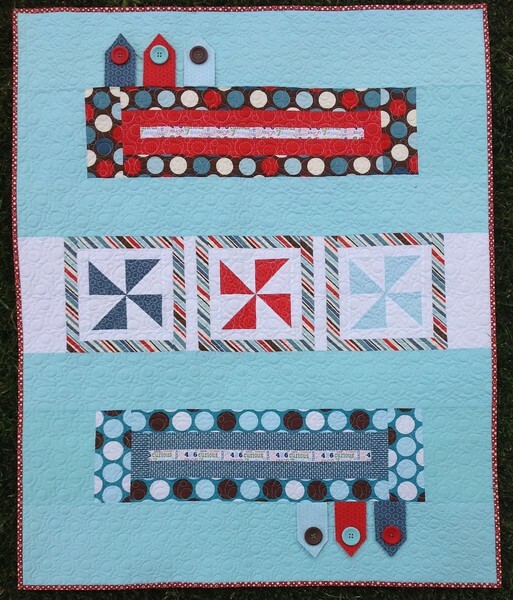 Quilted by: Sarah Fraser of Patchworks Plus.